Audiovisual is available on request at an additional fee. 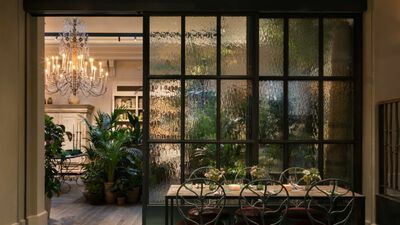 Built-in bar available on request at an additional fee. Available on request at an additional fee. 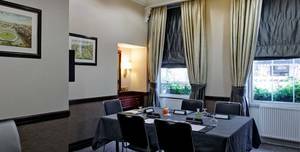 Grange White Hall Hotel is a distinctive boutique property, nestled behind the British Museum in the heart of literary Bloomsbury. 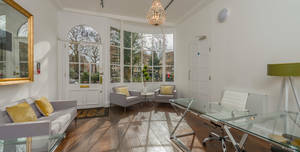 This former Georgian townhouse has since had its features lovingly restored and now boasts 50 luxurious guest bedrooms, complete with hand-carved rosewood furniture; an elegant restaurant, looking out onto a private garden and conservatory; and a classically-styled lounge bar, serving drinks, snacks and traditional Afternoon Tea. 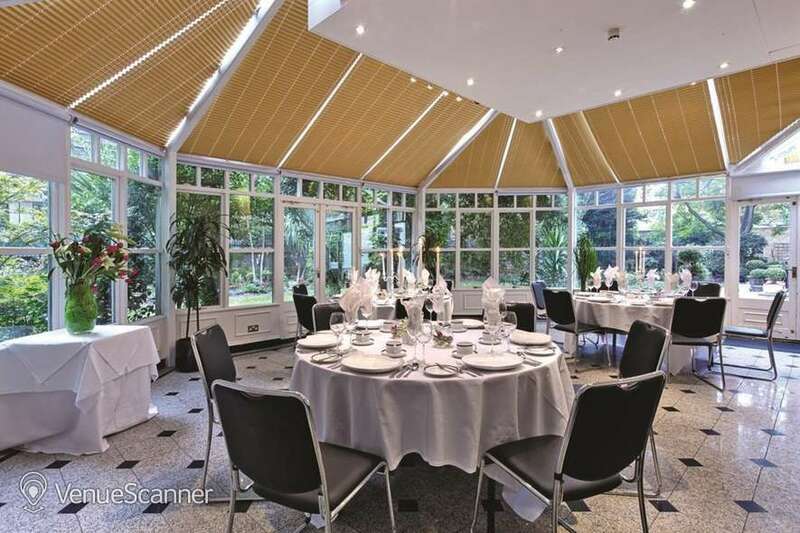 The Garden and Conservatory are also available to hire for private meetings and events, together with five purpose-built indoor spaces and four versatile syndicate suites. 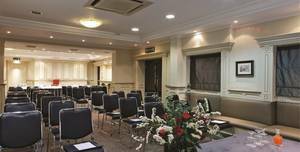 The Garden Suite is perfect for receptions, dining or smaller conferences and presentations. 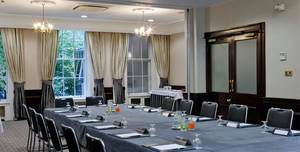 Grange White Hall Hotel is a distinctive boutique property, nestled behind the British Museum in the heart of literary Bloomsbury. 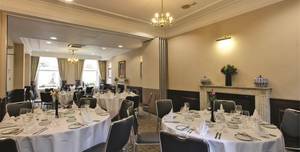 The Montague Suite is an excellent choice for receptions, lunches and dinners for all corporate or private events. 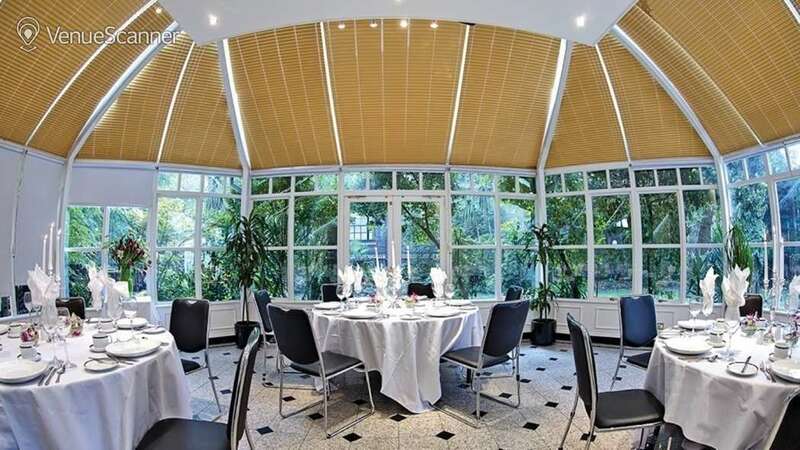 Grange White Hall Hotel is a distinctive boutique property, nestled behind the British Museum in the heart of literary Bloomsbury. Two for tea or tea for two, afternoon tea at Terry’s is coming to you! 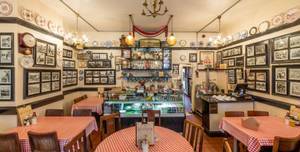 We are proud to incorporate into our menu Wilkin & Sons Ltd. Terry’s Cafe is a diamond in the rough. Our upstairs pie room, this is the most flexible of our spaces. 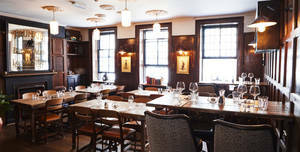 The Newman Arms is a fantastic, historic pub located in the heart of Fitzrovia. The Bedford J2 bus is an outstanding, unusual venue for private dining events and intimate celebrations. 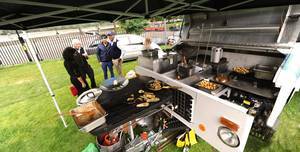 Gastrocircus comprises of three incredible vehicles available for hire for private dining events and intimate parties. For more information please contact with us by sending enquiry. Welcoming guests 24/7, Duck & Waffle keeps pace with a city that’s always on the move - where better to host your next event. 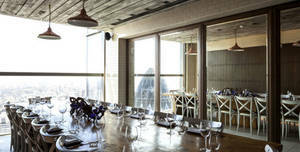 The Linen Van is an unusual venue for private dining events and intimate celebrations. 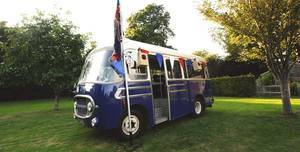 Gastrocircus comprises of three incredible vehicles available for hire for private dining events and intimate parties. As part of our extensive refurbishment we have completely re-generated the upstairs offering into a smart and contemporary bar and dining space. 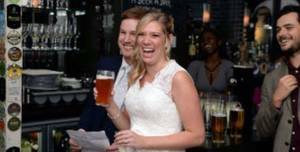 We are proud to bring your ‘local beer house’ to Whitefriars Street, EC4. 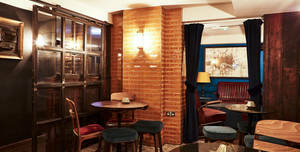 Our downstairs snug, this can be set up for relaxed drinks, sit down meals or office meetings. 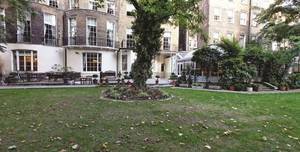 The Newman Arms is a fantastic, historic pub located in the heart of Fitzrovia. 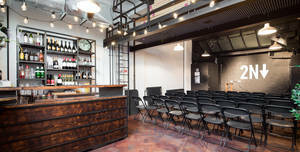 The venue is available to hire from 9am to 5pm ONLY. 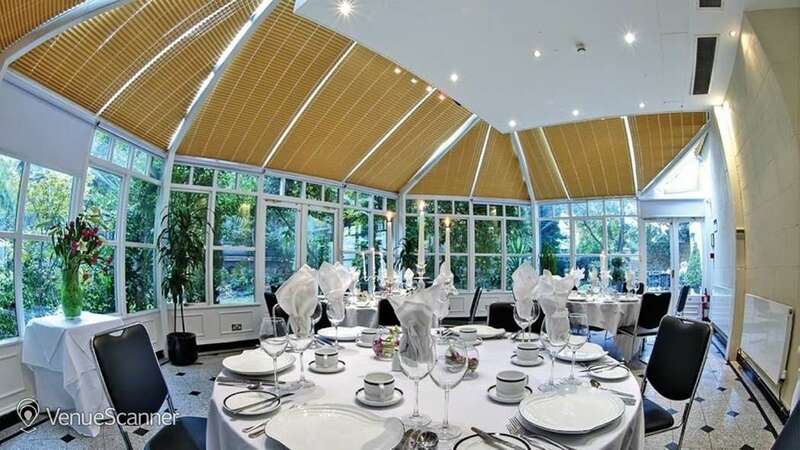 The venue is available to rent from 9am to 5pm ONLY. 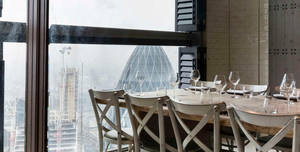 Located atop a 40-storey skyscraper at 110 Bishopsgate in the city of London, Duck & Waffle made its debut in the restaurant scene in the summer of 2012. 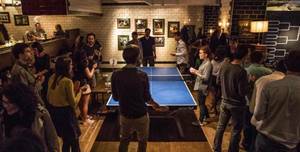 The Bounce Old Street venue consists of 17 Ping Pong tables including the 2012 World Championship table. 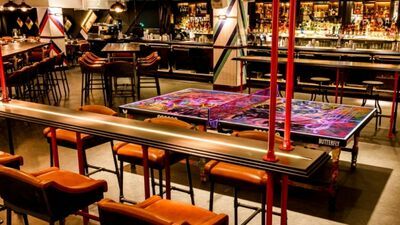 Bounce has paved the way for social entertainment venues, providing an unrivalled leisure experience beyond expectations. If you’d like more info or have any questions, please click Send Quick Enquiry.. 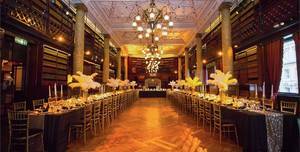 Truly the ONE for weddings, One Whitehall Place is the perfect setting for your big day. 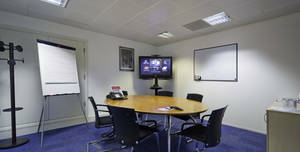 Friendly staff, clean and well furnished room in a great location. I would have given 5 stars except I had a room in the basement. It was a good size but I still felt claustrophobic. Lack of AC, rooms rather small but, excellent staff, superb location, pretty cool English breakfast. Additional value is that this place "smells" like Victorian England. 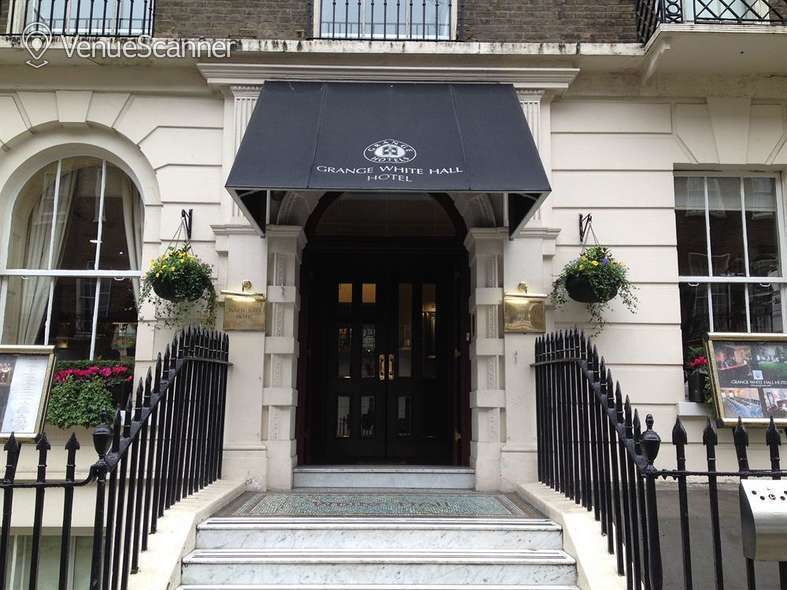 My friend and I stayed 2 nights at the hotel while staying in London. It is pretty centrally located and we are fans of walking. But there are bus stops right in front of the hotel or trains are also nearby. We had a 2 twin bed room and were in the 3rd floor. The floor layout is weird because they connected several buildings over the years (the address is 2-5) so the hallways are narrow and sometimes have uneven surfaces, so watch your step. The room was clean, but small. The bathtub/shower is not easy to get in to, rather high up. So people with balance problems may have issues. There are no outlets in the bathroom (other than for shavers) which is not uncommon in the UK. There is a hairdryer in the desk drawer, which also has a nice sized mirror across from it. The light switches are tricky, the gold one is the master and is tied to all other lights in the room, including the bathroom. To have the room completely dark, you need to turn off the gold switch. However, we decided to leave it on, which left very dimly lit ceiling lights on all night. Which we found helpful for late night bathroom trips. They have a tea set in a box on the wall. I only took the cookies :) I forgot my iPhone in the room and called while I was at the train station. It took 2-3 calls (I had to follow up) to get a response that they located it and would store it in the safe until I got back the following day. They were great about that. Overall a good stay and moderately priced. It's a nice spot and well located but I expected more. The rooms are a good size and comfortable - shame the first one I was given hadn't been cleaned! Easily sorted though. The bar area is small as is the breakfast room. Feels crowded as people have to shuffle past each other with bowls of cereal. I'd go again if I found a good offer, but at standard prices it doesn't impress. I booked a standard single room and it was on the LG floor. The window was to a stairs and barely any light or air would reach from the outside. Got upgraded to an executive room on the 2nd floor which is what you would imagine to get in the first place. Breakfast included pastries, cheese, sausages, and cereals; basic. 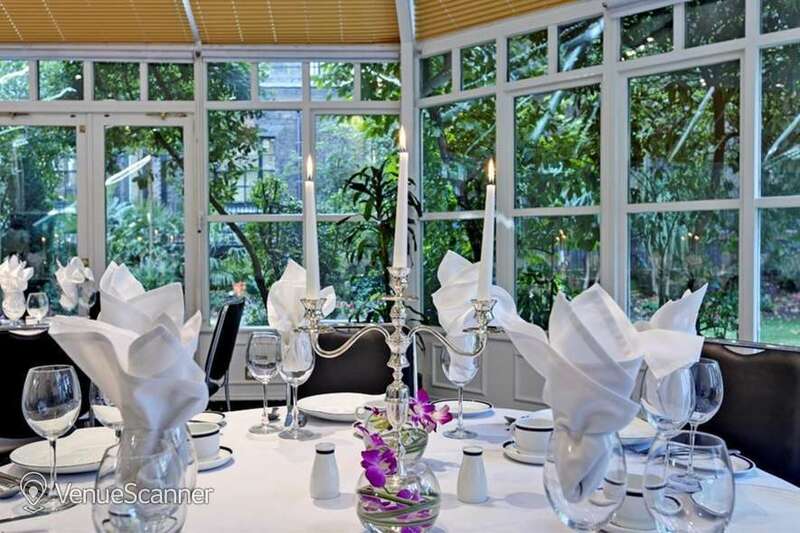 Great location next to the British Museum. Good neighborhood. Ideal for a single person for a one night stay.